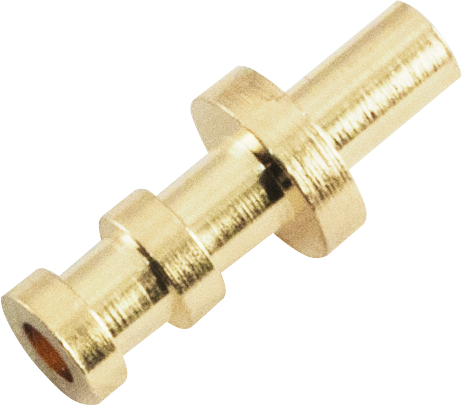 Chrome S-HTUR-B Diameter 0.209 in. 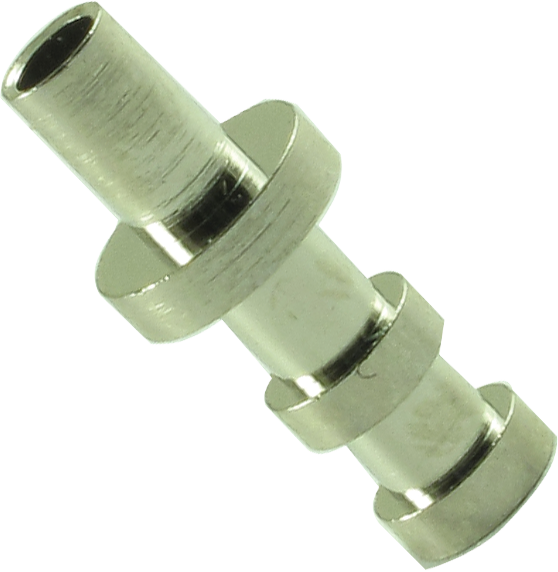 Chrome S-HTUR-B Item Length 0.502 in. Chrome S-HTUR-B Packaging Dimensions 3 in. x 1 in. x 0.2 in. Chrome S-HTUR-B Weight 0.013 lbs. Gold S-HTUR-D Packaging Dimensions 2 in. x 1.5 in. x 0.3 in. Gold S-HTUR-D Weight 0.12 lbs. 1 answers Do you have tinned copper turrets. The last turrets I got from you were very difficult if not impossible to get solder to stick on the very top. The sides soldered fine. Yes, I do know how to solder. 1 answers What size drill bit for these turrets?" 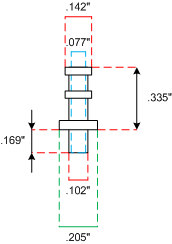 The diameter of the required hole would be 0.102" or 2.59mm. This measurement falls between a 3/32 and a 7/64 size bit.